It's impossible for a visitor to miss the British Raj ambience of Punjab National Bank's (PNB) Brady House branch at Fort in Mumbai. The imposing structure is a stone's throw away from the Bombay Stock Exchange and Reserve Bank of India (RBI). A symbol of its legacy and pride of the bank for several decades, the Brady House branch today is in the eye of a storm — a Rs 11,400-crore fraud in which PNB finds itself embroiled. 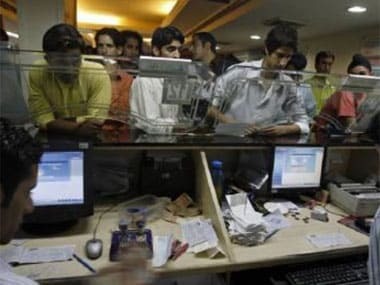 The bank, India's second largest by assets, is fighting to save its image and win back investor confidence since it reported the fraud — since Valentine's Day (14 February), to be precie — when it disclosed to stock exchanges that a fraud had been underway for several years (since 2011). The fraud, it divulged, had been orchestrated by a few PNB employees at Brady House and billionaire jeweller Nirav Modi's companies. A CBI investigation has already led to the arrests of two PNB employees. Policymakers, regulator and investors have been taken by surprise seeing the extent and nature of the fraud that was perpetrated using fake Letters of Understandings (LoUs) to Nirav, who used them to borrow from overseas branches of certain Indian banks for several years. 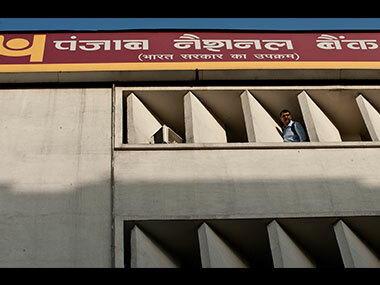 PNB has taken a hit, both in terms of its image and investor-confidence. PNB's stock price has eroded 31 percent since the day of the announcement of the fraud. We will have to wait and watch before the full extent of damage can be ascertained. A feudal setup? The PNB fraud can't be seen in isolation. It represents a larger systemic problem. The fact is that India's state-run banks often operate as feudal institutions. These banks eagerly wait for cues from their higher-ups in the bureaucratic hierarchy. Most bank chairmen function like feudal kings in PSU banks and officers down the hierarchy often get unfair treatment. The working culture is far different from that of a typical private sector bank. The chairman and others in the top brass, in turn, look for cues from their bosses (read bureaucrats in the government and ministers) and aim to please them by taking orders rather than taking independent decisions that are in accordance with spirit of competition and longterm efficiency of the institutions. There is no sense of ownership. This was one major reason behind the buildup of the NPA pile in state-run banks. During the period of the economic boom, most PSBs competed to get a larger share of the corporate loan pile often forgetting the rules of prudence and credit assessment. When banks focus blindly on loan volumes and less on quality of loans, the problems begin. This later manifested itself as NPAs when the economic cycle took a downturn. At one point, it was quite common to see advertisements in national newspapers by state-run banks flashing their 'Total Business', which was basically done to impress the bosses in government and didn't give any indication of the quality of the balance sheet. "Whether it was UPA or NDA, this feudal culture hasn’t changed much," said one retired banker who spoke on condition of anonymity. Every outgoing bank chairman merrily passed on the bad loan burden to the successor and showed a healthy balance sheet. Not a one-off problem It will be a cardinal mistake to imagine that PNB is a one-off problem for the banking sector. This is only the outcome of loose checks and balances, and governance practices that have crippled state-run banks for a long time. PNB, in fact, only represents the real situation of public sector banks in India long-affected by weak risk-management systems, poor management and no significant autonomy in big business decisions. The fraud signals the deeper problems faced by sarkari banks and raises questions on the logic of recapitalising these lenders using taxpayers' money before fundamental reforms are executed to change the way these banks function. In a recent interview with Firstpost, KC Chakrabarty, former RBI deputy governor, and former chairman and managing director of PNB said the fraud should not be seen in isolation. This is the result of long-followed poor risk-management systems and inefficient auditing practices, Chakrabarty said, adding there needs to be proper risk-based audit and supervision in place to prevent such frauds. Banks do various types of audits of their accounts, the banking regulator, the RBI, too does periodic monitoring of bank transactions, the government (majority owner of these banks) frequently reviews the PSU bank performance. Yet, none of these could sniff out a fraud that has been going on since 2011. A failed system? The PNB fraud will certainly make ripples across the Indian banking sector. But it isn't the only dark spot in the public sector banking industry. There are a plethora of problems these lenders have been tackling for a long time, including the issues arising out of poor governance practices, shortage of capital, lack of reforms and vulnerability to the corporate-political nexus on account of their sheer public sector character. The biggest problem PSU banks have been facing is the mounting NPAs. Over 90 percent of the total gross NPAs of the banking sector is with state-run banks, also because of their sheer asset size in relation to private and foreign banks. Around 70 percent of the Indian banking system is controlled by state-run banks, in other words, the government. But, government control has not done any good to these institutions after five decades of nationalisation, even though it has helped to spread the banking services to India's far-flung villages and direct credit to farm sector. Today, the total gross NPAs of state-run banks is nearing around Rs eight lakh crore. But, if one looks at the total chunk of stressed assets including the parts of loans that are being restructured, the figure will be far higher. If one looks at the overall industry NPA picture, again PSBs come out on top. PNB has a GNPA figure of 12.11 percent, Bank of Baroda is at 11.31 percent, SBI at 10.35 percent and Canara Bank has 10.38 percent. The figures look even bad among the relatively smaller peers of SBI in the public sector banking industry. IDBI Bank tops the list with GNPAs of 24.72 percent, followed by Indian Overseas Bank which has 21.95 percent of its loans gone bad, UCO Bank had 20.64 percent gross NPAs, United Bank 20.1 percent and Dena Bank 19.56 percent. Total slippages of SBI rose to Rs 25,836 crore, compared with Rs 9,026 crore in the previous quarter. There have been promises on bold reforms in state-run banks for a long time in order to change these institutions for better. But, except certain cosmetic incremental reform steps, nothing much has happened. One of the major reforms that ruling governments promise repeatedly is that of consolidation of government-owned banks, but except for mergers in the state bank group, which are largely technical in nature, there has been no major progress on this front. In 2014, an expert panel under PJ Nayak had recommended bringing down government holding in these banks below controlling stake and let private parties run these banks. But nothing much has happened so far except the continuation of long-practiced policies and cosmetic reforms such as splitting chairman and CEO posts and bringing private sector CEOs. In the light of the PNB episode, it's time the government looked at privatisation of PSU banks more seriously and, in the meantime, commence the process of overhauling the risk-management framework that has proven to be completely ineffective so far. The PNB episode conclusively tells the regulator and policymakers that cosmetic steps won't work any more.